It seems obvious, but try to use keywords with as low competition as possible. There is absolutely no point using keywords that has thousands of competitor sites, as you are likely to end up somewhere in the back where no one will find you. When looking for competition, we are looking for the specific metric called QSR (Quote Search Results). There are a couple of free keyword tools that are great in showing an accurate QSR, and these are Jaaxy and also the keyword tool provided within Wealthy Affiliate. I am personally a member of Wealthy Affiliate, however, I always use the Jaaxy keyword tool, as I believe it to be the most powerful keyword research suite on the market. QSR demonstrates the REAL competition, and will tell you the exact number of competing pages in Google. The lower the QSR, the better – however, please aim for a QSR of less than 300. Well, there really is no point to finding keywords with low competition if no one is searching for it! 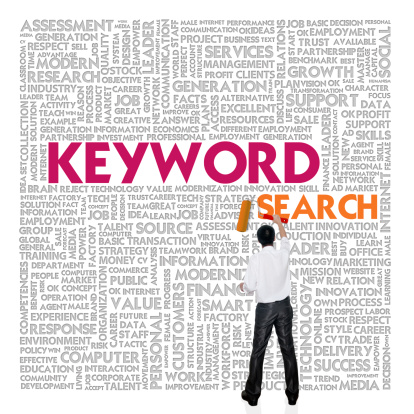 There is also little point using keywords that have high monthly searches AND high competition. You want Low Competition along with a descent amount of monthly searches. Again, the keyword tools are great at determining the traffic. Aim for at least 50 searches per month. Your keywords must be relevant and make sense to what your blog post is about. Avoid awkward sentences for the sake of getting a low QSR and high traffic result. If it looks unnatural to you, it will look unnatural to others too. And this way, quite frankly, will make you lose integrity with your audience. Previous PostPrevious Great Ways To Find Content for your Blog – It Really IS that Simple! Next PostNext Help Choosing a Name for your Business – Check out some awesome tips here!